9 AM to 5 PM EST MON thru FRI for reservations… or book online! Meet at the airport and transfer to the Condo in Escazu San Jose. 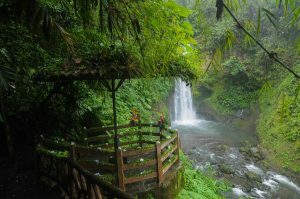 This day you will get plenty of information on what we will be doing during your Costa Rica Adventure. 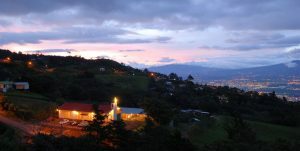 Depending on your arrival time/s we could take a sight-seeing tour around the city of Escazu, which is considered the Beverly Hills of Costa Rica with great restaurants of every ethnicity, and the Escazu Multi-Plaza 3 story high shopping malls that have been mentioned among the best shopping malls of North & South America. Overnight stay at the Escazu private Condo. Transportation from airport to Escazu condo & tour of the city of Escazu. Dinner at an upscale restaurant. Breakfast on the road and then continue with your guide on a panoramic beautiful drive where you will visit La Paz Waterfall Gardens and/or Coffee Plantations for a short hike and see amazing waterfalls and various exhibits, Cloud Forest, Animals – Jaguars, monkeys, parrots, and picturesque towns. Buffet lunch included and for dinner, we’ll stop at an authentic Costa Rican restaurant. Lodging will be at the Escazu Private Condo. Travel 3 hours to the charming town of La Fortuna with beautiful panoramic views and stay at Los Heroes Hotel. Awake in the morning to the sounds and sights of monkeys, Scarlet Macaws, and many other wild animals. 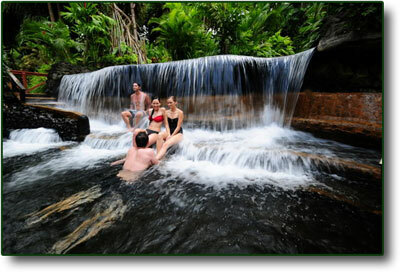 Enjoy the day hiking to the King George waterfall and relaxing on the beach. Flight to Cabo Matapalo (if no flights are available then buses will be included). 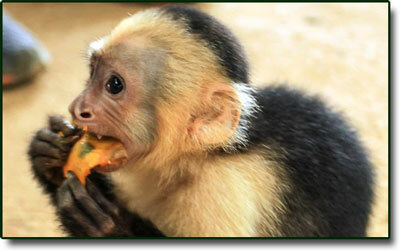 Lunch and dinner are offered at local rain forest lodges and resorts. 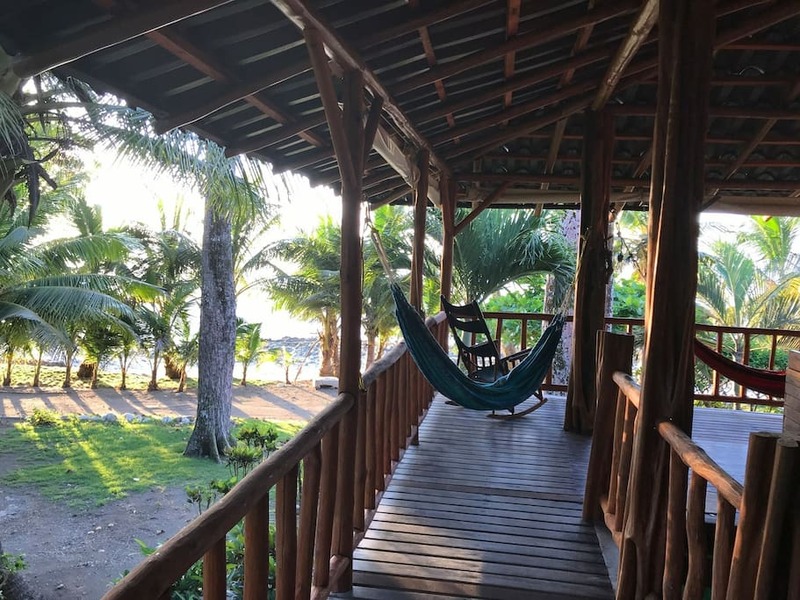 Take a boat ride across Golfo Dulce to the amazing wildlife refuge and enjoy hands-on encounters with monkeys and other animals being rehabilitated to be released back into the wild. We may get to experience the dolphin pods in the Golfo Dulce and if time permits we’ll visit a botanical garden. Watch surfing at the local famous surf breaks. 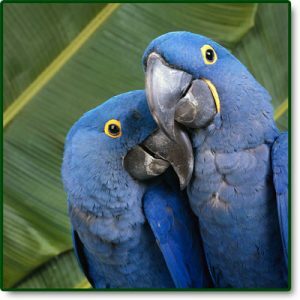 Take a trip to the OSA bird sanctuary for a beautiful Ecological experience where you can hold blue parrots and interact with a vast array of wildlife. Lunch or Dinner can be enjoyed at local lodges. Guided private transfer to the San Jose City and lodging at the Private Condo in the Escazu area. This day is your day to either relax or create your own schedule. 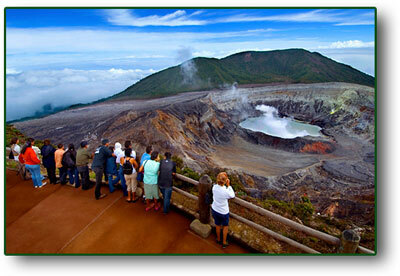 Full Day Pacific Ocean Catamaran tour, Irazu or Poas Volcano Tours. Your Guide will be able to help you with booking any of these activities. After an early morning pickup from a San Jose hotel, you will travel in a comfortable bus to the Operations Center for a delicious, typical Costa Rican breakfast. After breakfast and changing into rafting gear, we will drive to the private rafting launch on the banks of the Pacuare River. You will enjoy an adrenaline-packed afternoon running the Pacuare’s biggest rapids: Upper and Lower Huacas, Cimarron, Dos Montañas and more. From the launch, it’s a short drive back to the Rios Tropicales Operations Center for a hearty and delicious lunch. And if water rafting is not for you, there are other activities like visiting the National Museum and walk to the local shops and restaurants. Back to San Jose for a last night stay at the private Condo.